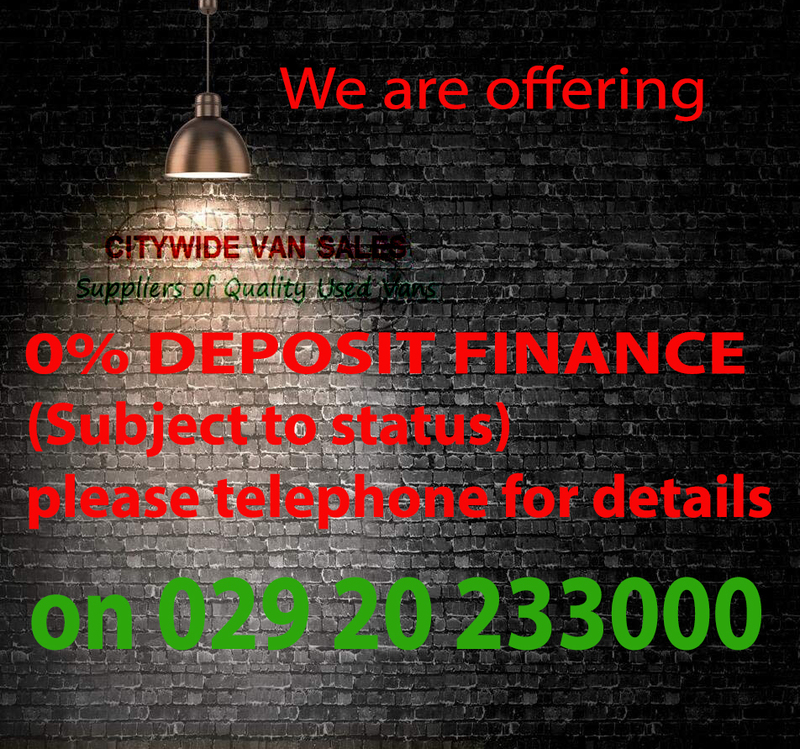 We are offering 0% DEPOSIT FINANCE (Subject to status) please telephone for details. For the best deals on top quality pre-owned commercial vehicles in the Cardiff area contact Citywidevansales. Our superb choice of quality vehicles, excellent customer service, and competitive prices make all the difference to our customers. 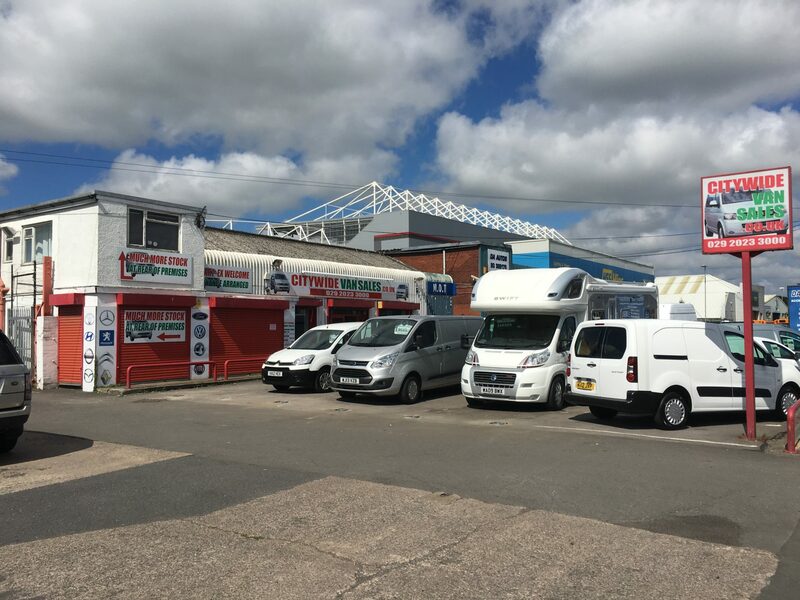 Operating from a convenient location on Sloper Road Cardiff South Wales our commercial vehicles meet top quality standards, with every vehicle undergoing a comprehensive pre-delivery inspection which includes a full valet service before handover. We have over 100 vans in stock at our two locations, provide our own servicing, repairs, and are an approved MOT testing centre. If you cannot find the vehicle you require on our website please feel free to contact us or visit our “source a vehicle” page as we may be able to find you a vehicle at short notice. All of our available stock is listed on our website, Autotrader, and eBay Motors showroom to visit our eBay page please click on the following link:- eBayShop. If you are looking for financing, we’ll make it simple and straightforward, suggest the most competitive and beneficial package for you and handle all the paperwork. See our finance page for more details! We buy vehicles for cash and may be able to beat valuations you have received from other car/van buying websites! Please feel free to contact us for a free valuation of your vehicle!